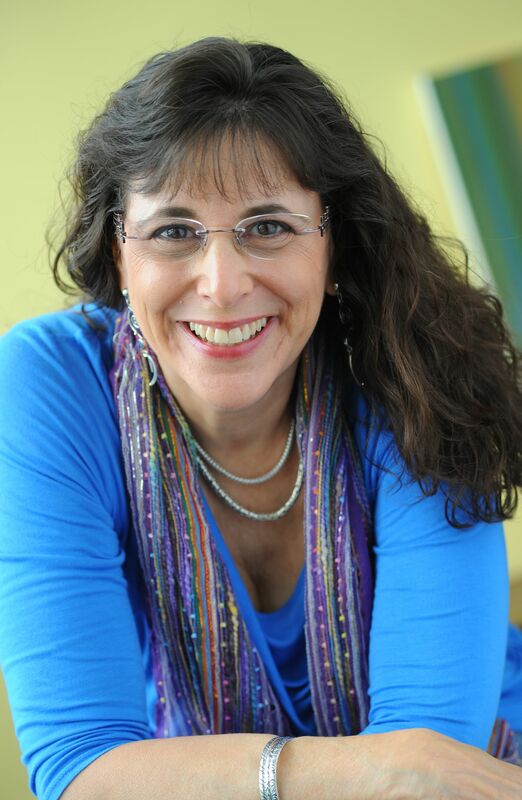 Nina Amir, Eleven-times bestselling author, Author Coach and Trainer. As a change agent, how do you turn your dream of making a positive and meaningful difference in the world into a reality? You write and publish a book that inspires positive action or change in individuals, communities, organizations, or the world at large. The world needs change agents. It's your time to make a positive and meaningful impact with your words. When you share your story and wisdom, you create a chain of inspiration. Others become inspired by your message. Pretty soon you have a community of change agents around you—others willing and ready to create change—all because you are willing to pick up the mantle, live into your potential, and learn how to author change. You possess an internal drive to change the things in this world you see as wrong, unjust, or standing in the way of the greater good. You may even feel a sense of personal mission or purpose to change things for the better. If you do not know the steps to manifest your dream of making a difference, however, you are doomed to watch things stay as they are this moment. Plus, the world needs you now—more than ever—to become an author of change. That's why I created the Author of Change Transformational (AOC) Coaching Program. I wanted to provide you with the steps to make a difference. Whether you are looking to change yourself, others, organizations, or the world, the process offered in this program give you the tools have a positive and meaningful impact...and to accomplish this with your words. How do you know if the AOC Coaching Program is right for you? If you feel called to change on a personal level as well as to become a successful and inspiring author, this course is for you. If you feel called to help others change for any reason, this course is for you. If you feel called to write about how to create change personally, organizationally, or globally, this course is for you. If you feel a sense of purpose or mission to inspire others to take positive action—to become a change agents, this course is for you. The AOC Coaching Program is taught by me, Nina Amir. I'm known as the Inspiration to Creation Coach, and I'm the author of How to Blog a Book, The Author Training Manual, and Creative Visualization for Writers and 18 other books. I bring to this program my many years of experience in the writing and publishing industry coupled with experience in the area of spirituality and human potential. Not only am I an Author Coach and Trainer, a book coach, and a blog coach, I am one of only 300 elite Certified High Performance Coaches in the world as well. I created this program for transformational writers like you who want to inspire change and make a positive and meaningful difference with their words. I crafted the Author of Change Transformational Coaching Program to help you write and publish a book with that type of impact. To accomplish this goal, the program provides six webinar recordings. These serve as the foundation of the program. You also have an opportunity to participate in seven LIVE one-hour coaching sessions with me. Additionally, you receive 12 homework assignments which you will build into four action (ACT) plans. These consist of multiple smaller action plans. You will have access to replays of the webinars and coaching calls. At the end of the three months, the AOC Coaching Program will have helped you develop a step-by-step plan to become an Author of Change. You will know how to create, write, and publish a transformational book and help that book succeed. Content was very relevant, copious and helpful… Homework provided the ability to go deep and capture critical insights tied to my motivation and commitment . . . Nina is an expert in her fields and shared her expertise and espoused her different viewpoints and opinions on various topics. If any of this speaks to your already-strong sense of mission or purpose, if you are ready to author a book that inspires change the change you want to see in the world - take action now! It's your time to author change. Become an Author of Change! The AOC Coaching Program is broken into three modules or steps that support your transformation into an Author of Change. These steps prepare you to become a change agent and inspire others to change as well. Each month of the program, you complete one module and one or more ACT (action) plans. As Ghandi said, you must change first if you want anyone or anything around you to change. Even if you have already experienced life-altering change and you now want to inspire others to similar change, you likely have some steps to take before you are ready to become a leader or promoter of this work. You must transform yourself into a change agent. In this module you will go through a self-assessment process to discover how you want or need to change so you can inspire others. You will evaluate yourself for success as an Author of Change. This module is also appropriate if you simply want to create personal change in your own life so you can more effectively help others do the same. Takeaway: Learn how to master change—in yourself (so you become a successful author and the inspiring leader of a movement) and so you can help your readers change. 2 webinar recordings; 4 homework assignments; 3 live coaching sessions. This module focuses on how you can take your message out into the world effectively. It asks you to think outside the box and consider creative modes of communicating to spread your message and begin using social media to inspire change. You are asked to transform yourself into a movement leader, a community builder, and a communicator. You discover how to building platform and community around yourself and your cause. Takeaway: Discover how to develop an engaged community of like-minded fans ready and willing to take up your cause—and purchase your book. 2 webinar recordings; 4 homework assignments; 2 live coaching sessions. This module focuses on authoring a life changing, world-changing book. You will learn how to evaluate your book for success from idea to full content plan. You will put together a business plan for your book that can be used for self-publishing or traditional publishing. You will explore ways to get your book written quickly and effectively and choose the best way to publish your book. Takeaway: Find out how to write and publish a marketable book that sells and inspires change. What's your investment in the AOC Coaching Program...and in fulfilling your purpose and giving your cause, movement, or mission the book it needs to reach a huge audience? * Alternatively, you can pay in two installments of $323.50 (total $647). Pay $323.50 today and a second installment of $323.50 in one month's time (taken automatically). The next session begins on Monday, February 4, 2019. Training videos will be released at 8 a.m. Pacific Time on February 4 and 18; March 4 and 18; and April 1 and 15. March 12 and 26; April 9 and 23. **No refunds for other reasons. You have lifetime access to the recordings and handouts and to the Author of Change home-study course as well as to additional material added or updates made to the coaching program. Are you ready to become an Author of Change? 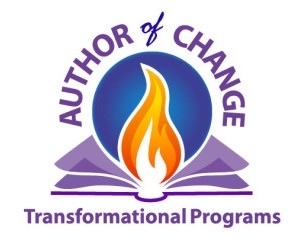 Join the Author of Change Transformational Coaching Program today! The world needs change agents now more than ever. Don't wait. It's your time to author the change you want to see in the world! Registration closes at midnight on Sunday February 3, 2019. Claim your spot now! Only 20 members per session. Yes, I want to become an Author of Change! As a new writer and life coach who would like to write a book to inspire women, I found the Author of Change Transformational Coaching Program just what I needed to get started. This course helped me discover all the things writers need to become change agents, such as my own ability to change, how to build community to support my cause, and how to create a marketable and inspiring concept. As a premier student, my one-on-one session with Nina helped me gain clarity on my idea and start writing. As a student from a third world country, I found your course most insightful… The course was well presented, with Powerpoints and homework assignments easily accessible from South-Africa. I can recommend the content to any aspiring author and business entrepreneur. It will assist in helping you to achieve more inspired results! As a writer, one goes through periods of growth, and then there are the times when after giving everything one has to a writing project, there is a type of plateau where the learning and growing stops for a while. I was at the latter stage when the Author of Change Transformational Program came along… While I knew that there would be a wealth of knowledge to take in, I did not foresee the changes that would take place within me. I had the opportunity to answer questions about myself and my writing that I had never made time to ask myself, and learned a lot in the process. How do you know if you are ready to become an Author of Change? If you answer “yes” to any or all of the questions below, it’s time for you to become a change agent. Do you have a strong desire to inspire change? Do you feel you are meant to help, serve, motivate, or be an agent of change in some way? Would you like to write a transformational book? In the process, you will transform into the type of person, writer, and authorpreneur who can combine passion and purpose into inspiration... inspiration that inspires you and others to change. You’ll also hone your book idea into one that is a viable project with the chance to succeed in the marketplace. That means the book you write and publish will have the ability to inspire the change you want to see in the world. And you will become an Author of Change. What exactly will you get out of the three-month program? An extensive action plan for personal change that prepares you to become a change agent and to support others in creating change. An action plan for communicating your message comfortably and effectively. An action plan for building community or a movement—a “tribe” of change agents. An action plan for writing and publishing your book, including the tools to write a book proposal or business plan for your book. Nina Amir - Inspiration-to-Creation Coach, inspires people to combine their purpose and passion so they Achieve More Inspired Results. She motivates writers and change agents to create publishable and published products and careers as authors as well as to achieve their potential and fulfill their purpose. She is the author of How to Blog a Book: How to Write, Publish and Promote Your Work One Post at a Time, The Author’s Training Manual, and Creative Visualization for Writers—as well as 17 other books. 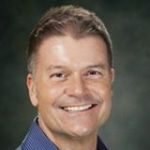 Amir is a nonfiction editor, proposal consultant, Author Coach and Trainer, Blog Coach, and Book Coach with more than 40 years of experience in the publishing field. She also is one of only 300 elite Certified High Performance Coaches working around the world. Amir holds a BA in magazine journalism with a concentration in psychology, has edited or written for more than 45 publications, produced hundreds of articles, and had her work published in five anthologies and several books, including Spiritual Pregnancy by Drs. Shawn Tassone and Kathyrn Landherr. An avid and award-winning blogger, Amir has become known as an expert on blogging, blogging books and booking blogs, and marketing books. She currently runs four blogs of her own, and she publishes four posts per week. She has produced thousands of posts for her own sites as well as a guest blogger for many popular sites. As a book editor, Amir also has a proven track record. One of her clients’ books (Enlightened Leadership) was self-published and then purchased and re-released verbatim by Simon & Schuster (Fireside); the book has sold over 320,000 to date. Another (Radical Forgiveness) won the 1998 Writer’s Digest Self-Published Book Award (Inspirational category), went on to sell over 115,000 copies, and eventually was purchased by Sounds True. Her clients’ book proposals regularly get them contracts with agents as well. Amir also speaks and writes about personal growth, high performance, human potential, and practical spirituality. She is a certified rebirther, a trained Voice Dialogue facilitator and an ordained minister. In these areas, her work spans religious lines and is pertinent to people of all faiths and spiritual traditions. In all she does, Amir focuses on helping people live their lives fully, manifest their desires and create their dreams. She sees herself as an “Everywoman” whose struggles and successes are similar to most people she meets. Therefore, she writes, speaks and teaches from a place of knowing that what has worked for her will provide others with a starting place from which to find what works best for them.